Their groundbreaking and uncompromising musical approach has often been hard to define and categorize, but the quality of the songwriting and the obvious artistic freedom has been evident throughout. 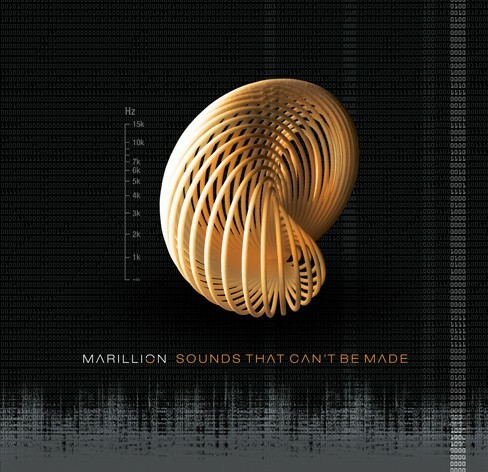 The music has remained consistently uncompromising and, album after album, Marillion have influenced generations of musicians worldwide (not to mention painters, engineers, and several astronauts!). The band can now look back with no regrets (apart from the clothes and haircuts) to a musical legacy made with 17 studio albums loved by millions and over twenty UK-Top 40 hits. With 2013 the time seems to have come for Marillion to have assumed the status of a classic rock band – not just by their fans, but increasingly recognized as such by the music business and media at large. They were recently declared “Band Of The Year” at the second annual Prog Rock Awards. Since the album release in September 2012 (Top 40 in Netherlands, Poland, Germany, Norway, and France), fans worldwide have voiced their wish for a vinyl edition so “Sounds That Can’t Be Made” will be made available on 180g 2Vinyl-Gatefold for the first time.